Comments: Deciduous Broadleaf native to the Pacific and Western interior states. Leaves are yellow to gray green, 2" to 3" long and slightly serrated. 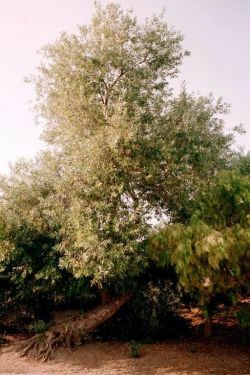 Mature trees to 60', but species has a tendency to be bushy and low growing. Common in wetland areas such as streams and ponds, and is used for erosion control on stream banks. Specimen shown is along the foot path in Niles Community Park.